Over 30 years experience in product development has helped MetriCan to become proficient in Laser Prototyping a wide spectrum of products. With a focus on automotive products, they include Sunroof systems, Seating Components, Structural Frames, Door Systems and Front-End modules. This proficiency allows MetriCan to supply customers with integral samples for product and assembly development. Laser Cutting technology enables MetriCan to produce accurate samples on a timely basis. 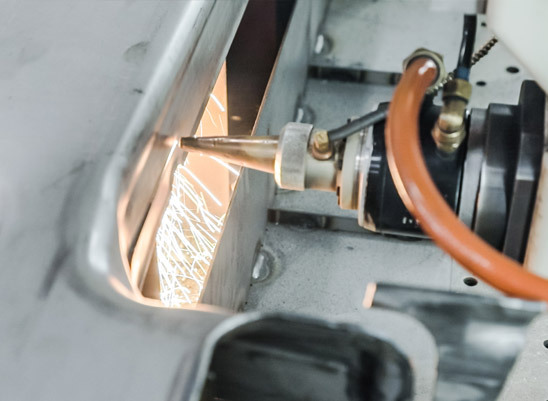 Laser cutting technology includes multi-axis, as well flat cutting capability, hole piercing, trimming, 3-D parts, with a variety of metals with varying dimensions. A combination of talent and technology has allowed MetriCan to develop a core focus on customer need for product development.